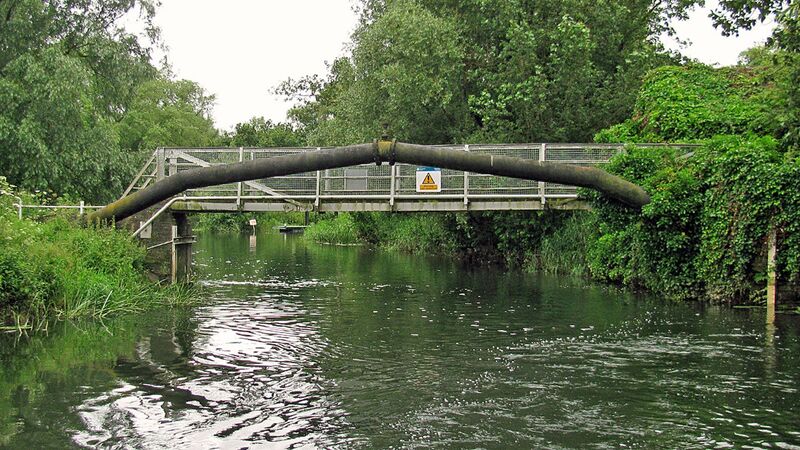 The footbridge just below Islip Lock on the River Nene is one of the lowest on the river and its limited headroom presents difficulties for some boaters. 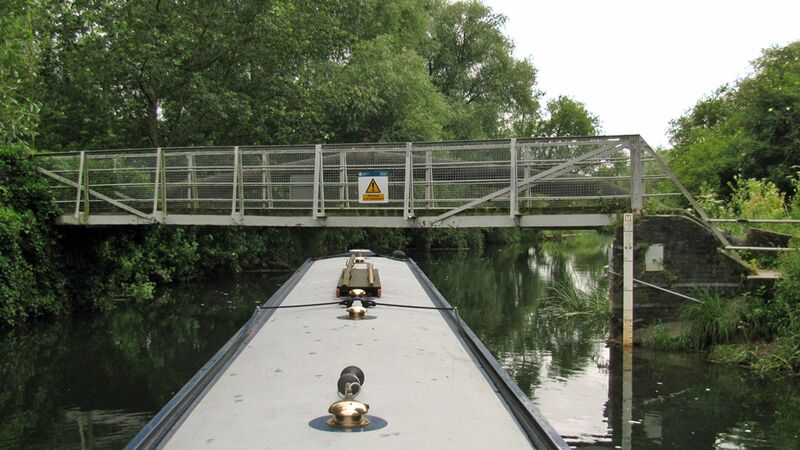 This is how the bridge looked heading downstream from our Waterway Routes Narrowboat in 2012, and we have an very low headroom, being able to fit through Froghall Tunnel, for example. Looking upstream in 2012 the bridge forms the limiting headroom, although the pipe isn’t much higher. The bridge was planned for replacement in 2017 and many boaters hoped the new bridge would have better headroom. Here it isn’t. Looking upstream in August 2017, with the old bridge removed. Now the pipe is the limiting headroom. The new bridge was craned in during September 2017. Islip Footbridge.September 2017. © Stephen Dawson. Here it is again, in September 2017. It looks like the pipe forms the limiting headroom near the edges, with the footbridge still limiting in the centre, with only a small increase in headroom. That will disappoint some boaters. Islip Footbridge. September 2017. © Stephen Dawson. 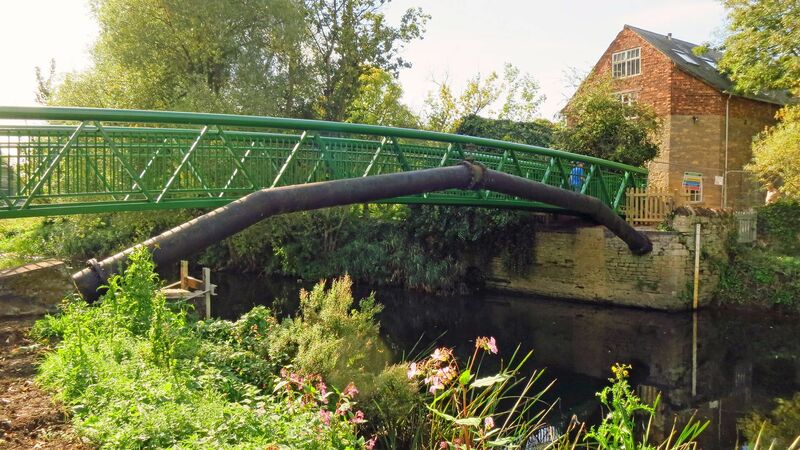 The headroom quoted by the Environment Agency (the Navigation Authority) for the old footbridge is 2.2m (7.2 feet) and they haven’t updated that figure for the new footbridge. 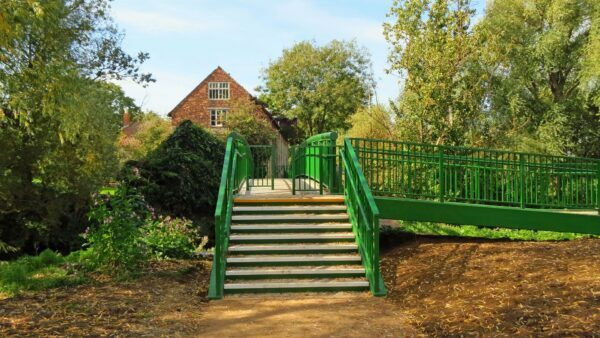 A big thank you to Stephen for taking the photos of the new footbridge for me. 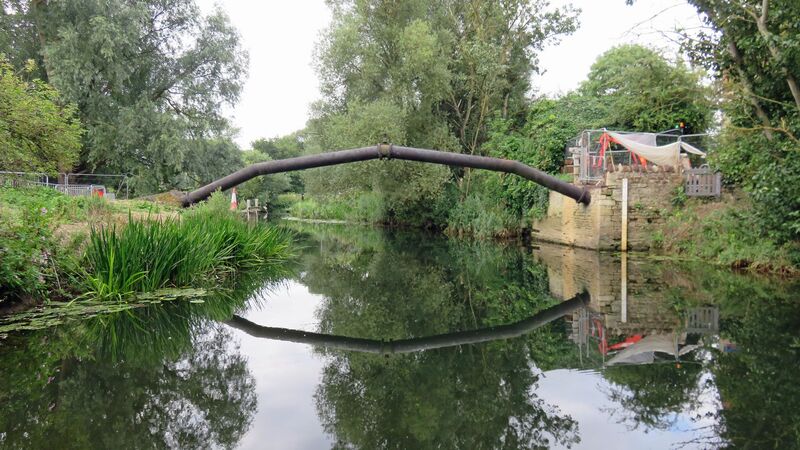 This entry was posted in River Nene by Paul. Bookmark the permalink. I understand that there was a public appeal of some sort to raise funds for the replacement footbridge at Islip. Do you know what organisation arranged this appeal, and how I can contact them? Garth: I have not heard anything about a public appeal. The Environment Agency is the navigation authority so I suggest you try contacting them.